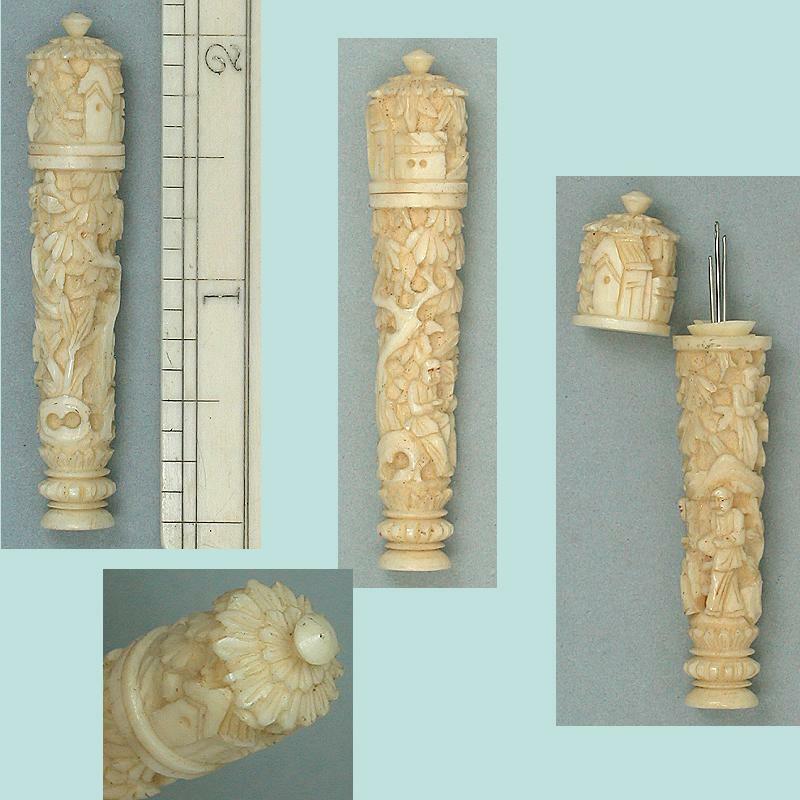 This little needle case is carved of ivory with beautiful detail and it has a lovely old patina and grain pattern. It's decorated with oriental figures and a house on a background of trees and foliage. The top is in the form of a sunflower. It was carved in China in the early 19th century for an English workbox. The condition is excellent with no chips, cracks or loss and it screws together perfectly. It measures a petite 2 1/8" long and the quality of carving is amazing for a piece this small. 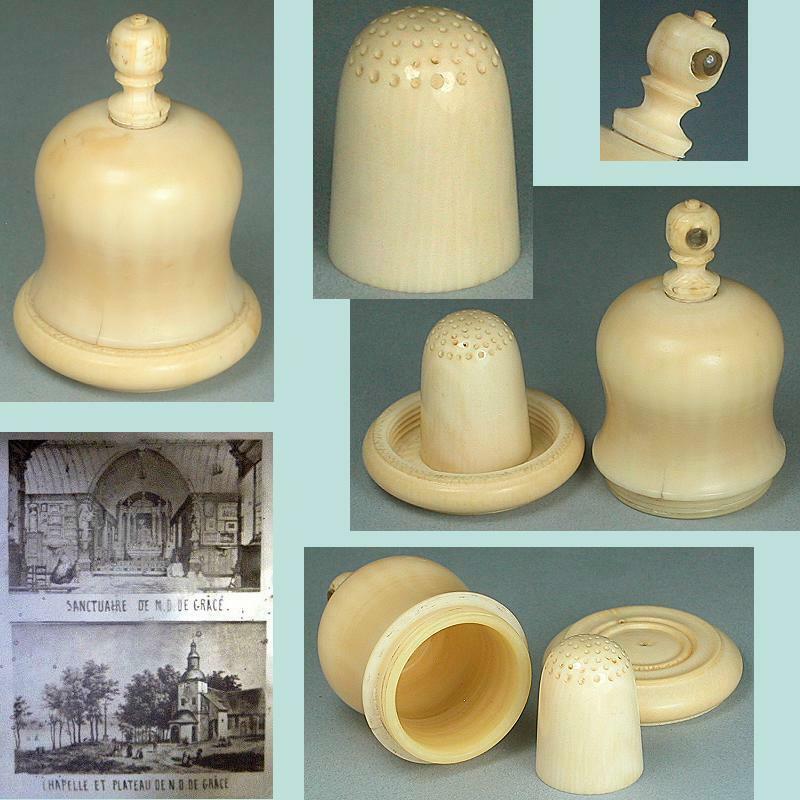 This style of needlecase is shown on p. 84 of Nerylla Taunton's book Antique Needlework Tools.